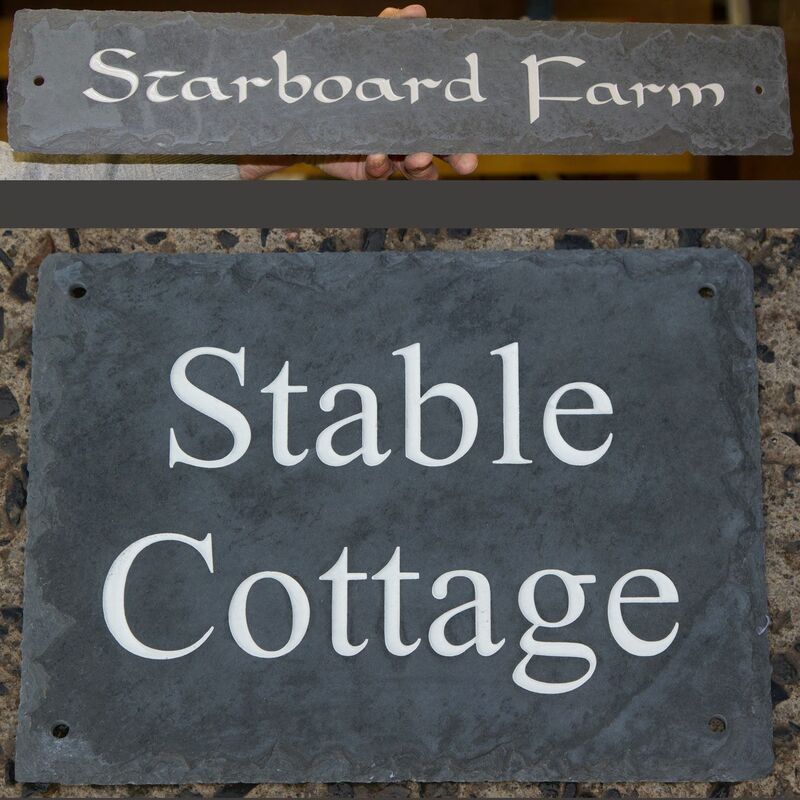 The standard square cut slate does not suit every property so we have included these rustic slate house signs in our range. They are made from 6-8mm slate and have a rough edge. The softer paint colours - purbeck stone and lichen - look especially good on these more natural looking signs. Our designers will create the perfect sign for you but if you want to see a proof or a selection of designs, this c an be arranged.